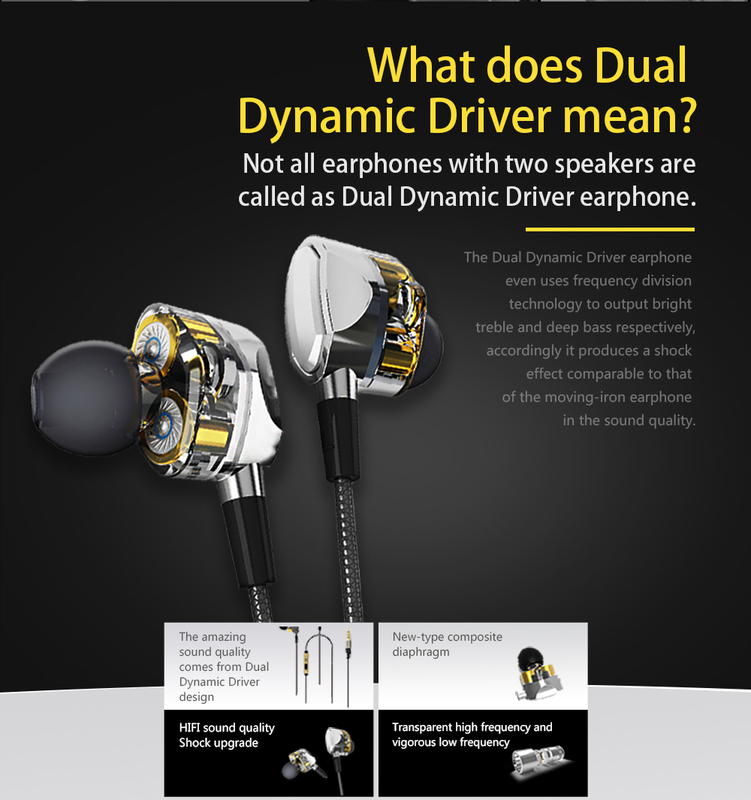 What does Dual Dynamic Driver mean? 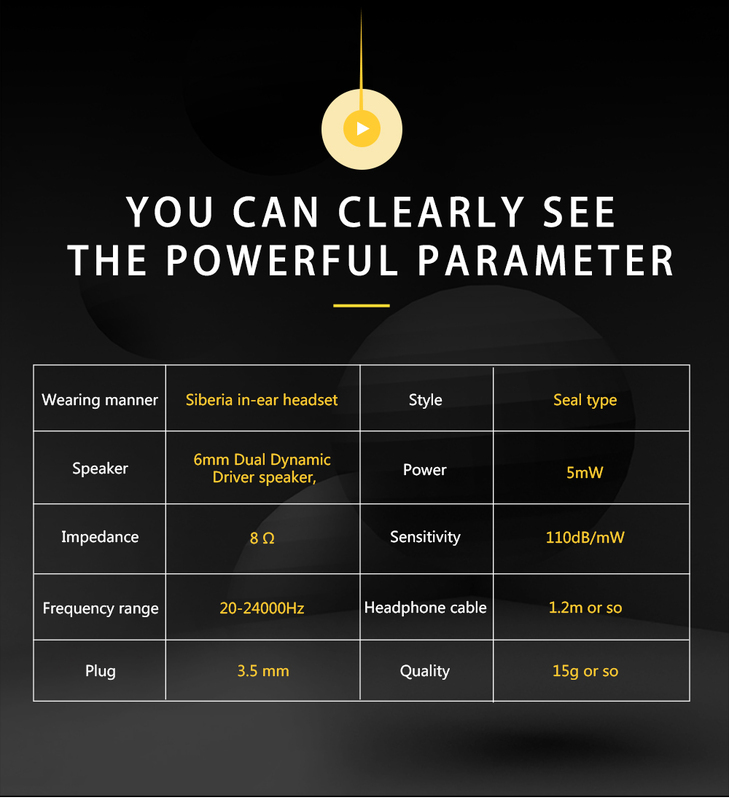 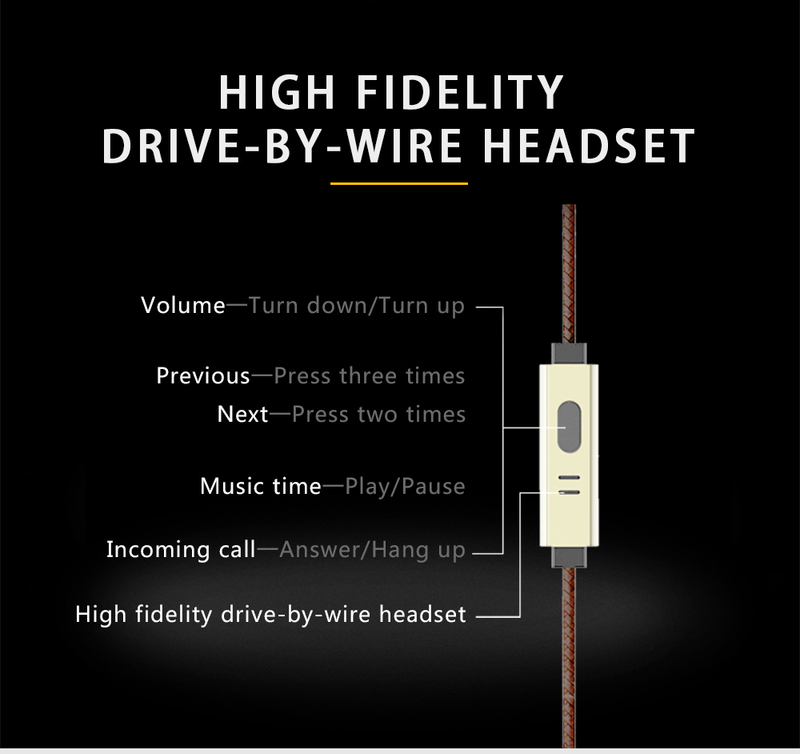 Not all earphones with two speakers are called as Dual Dynamic Driver earphone. 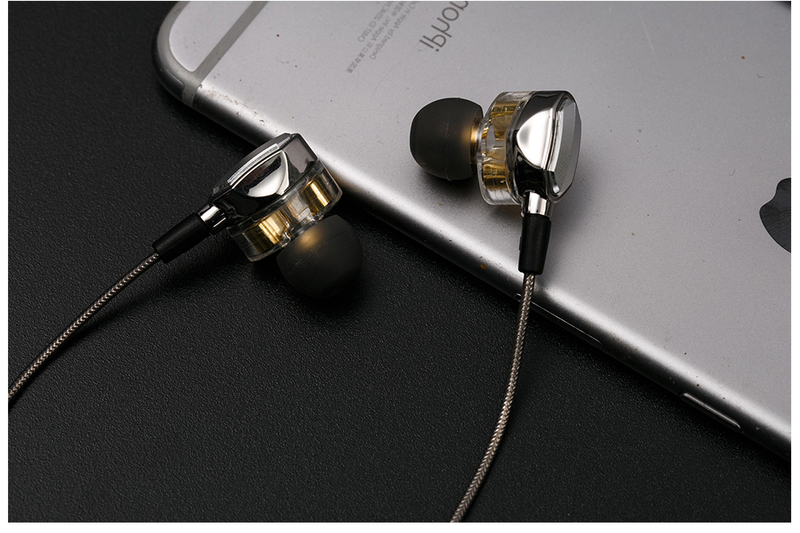 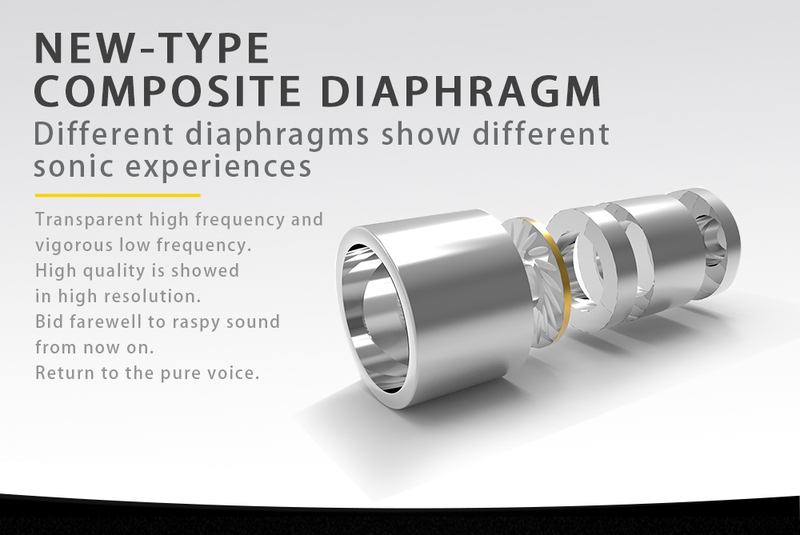 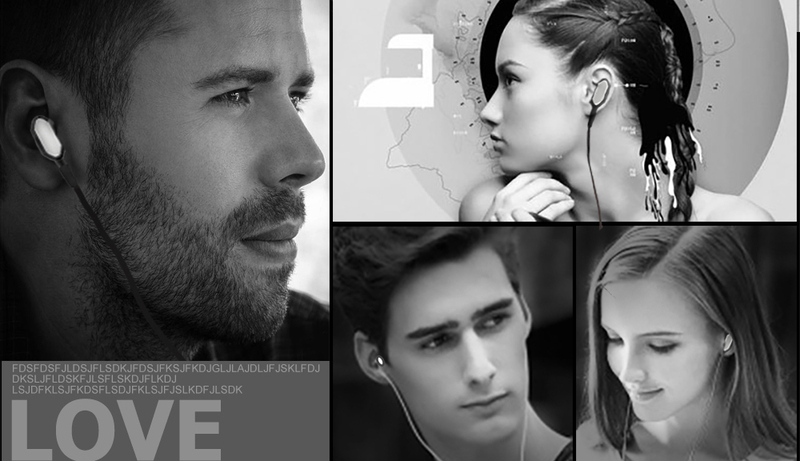 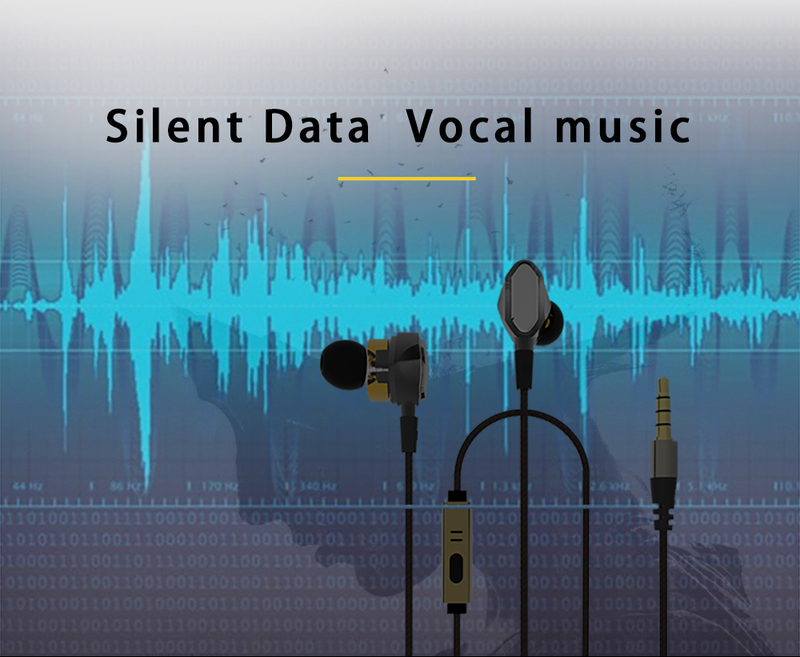 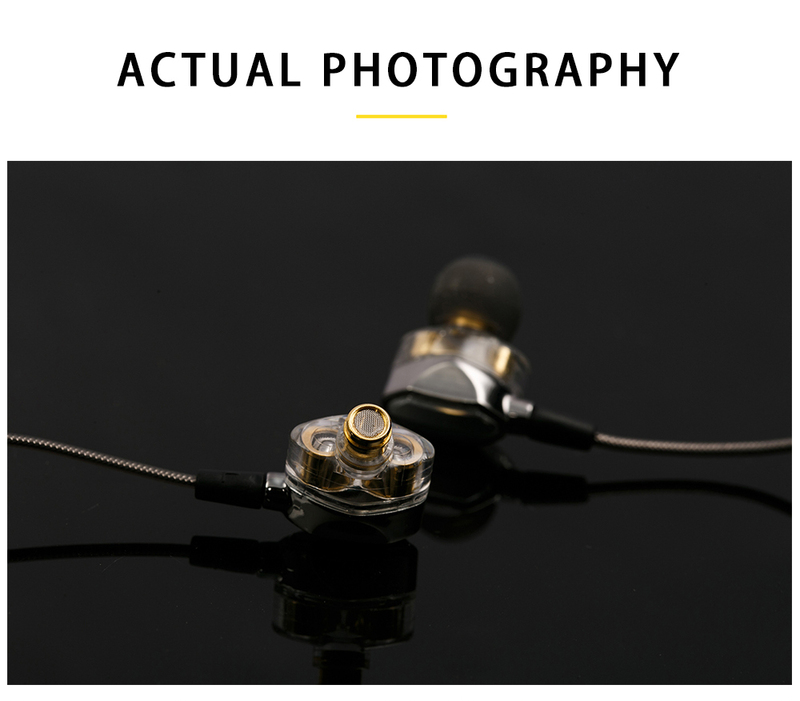 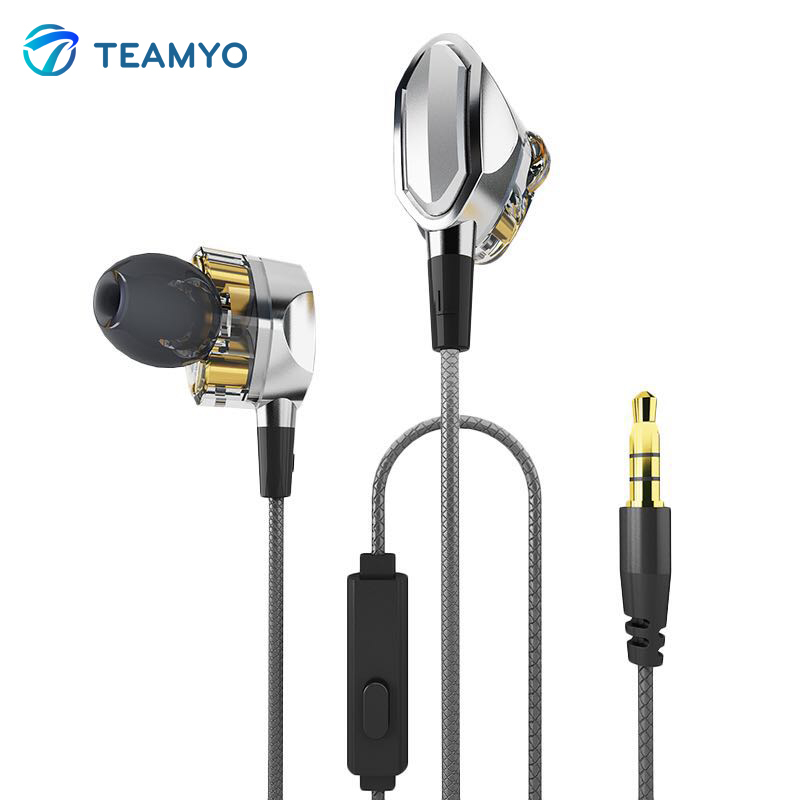 the Dual Dynamic Driver earphone even uses frequency division technology to output bright treble and deep bass respectively,accordingly it produces a shock effect comparable to that of the moving-iron earphone in the sound quality. 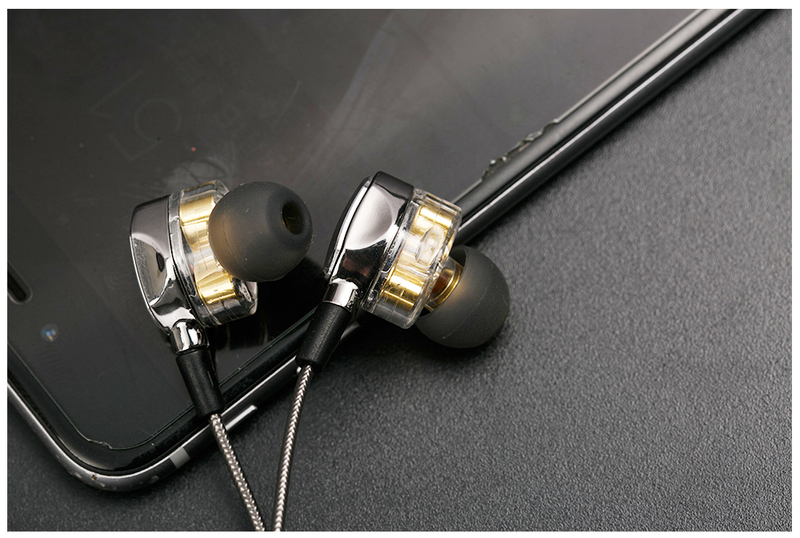 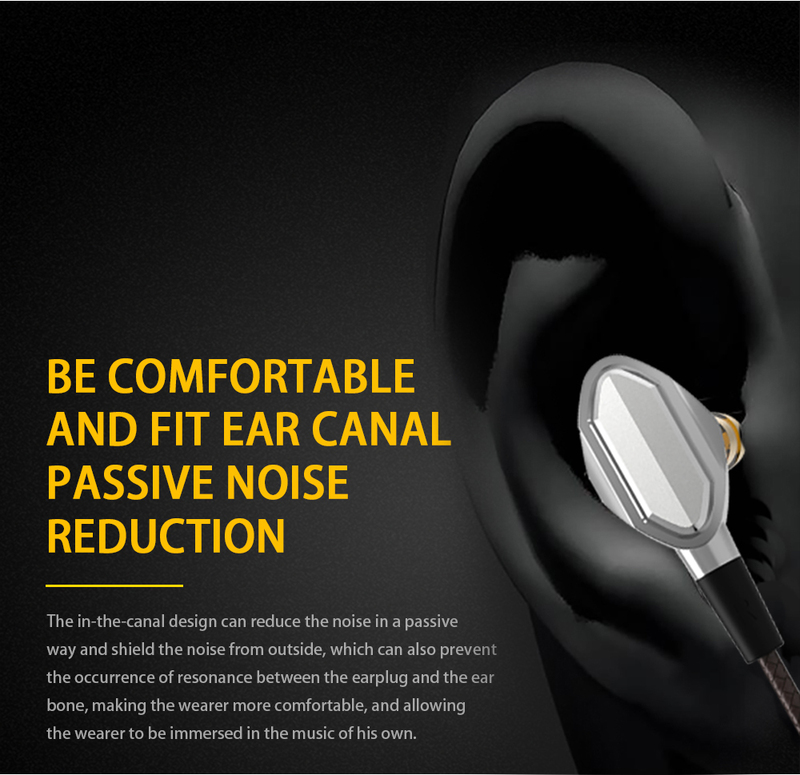 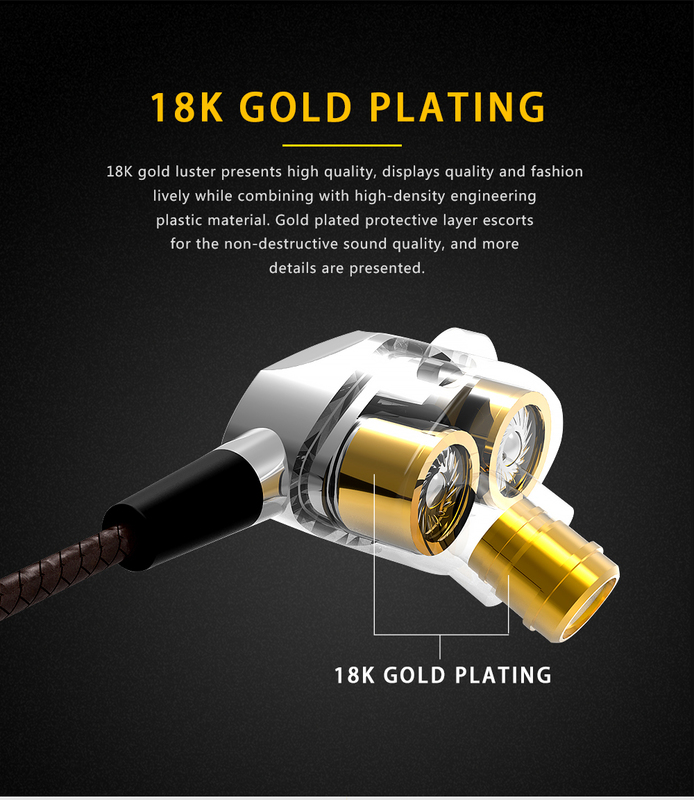 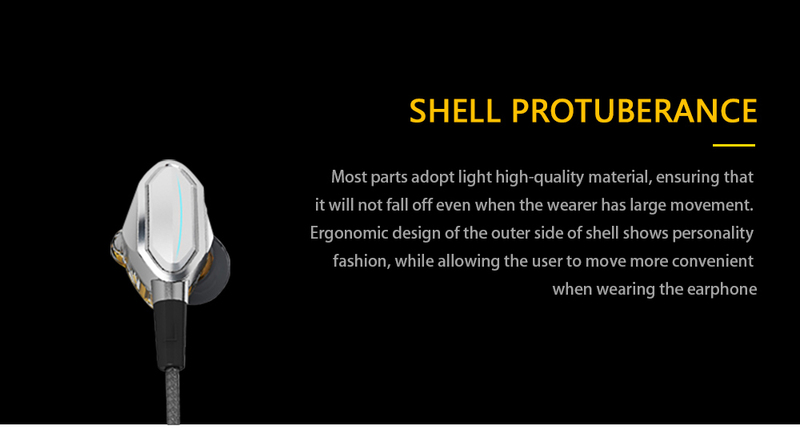 18K gold luster presents high quality,displays quality and fashion lively while combining wth high-density engineering plastic material.Gold plated proective layer escorts for the non-destructive sound quality,and more details are presented. 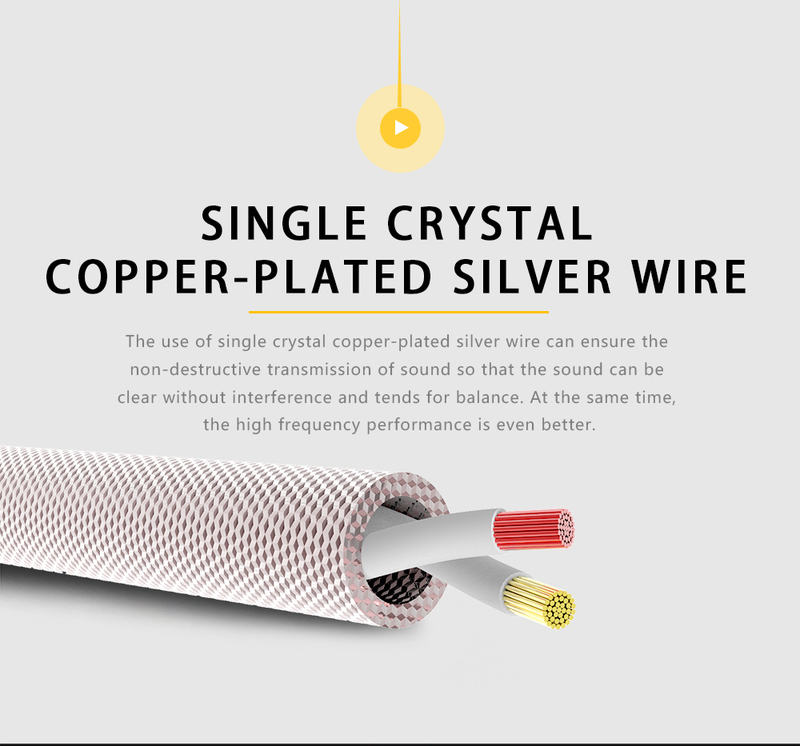 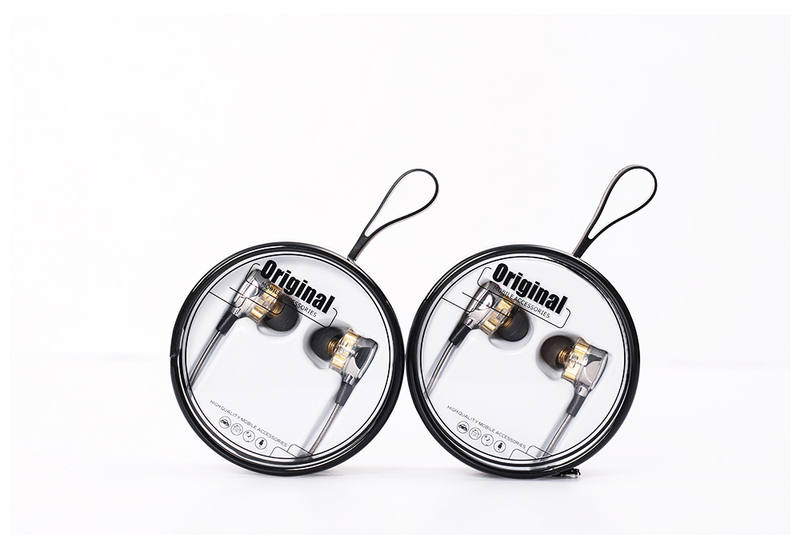 The use of single crystal copper-plated silver wire an ensure the non-destructive transmission of sound so that the sound can be clear without interference and tends for balance.At the same time,the high frequency performance is even better. 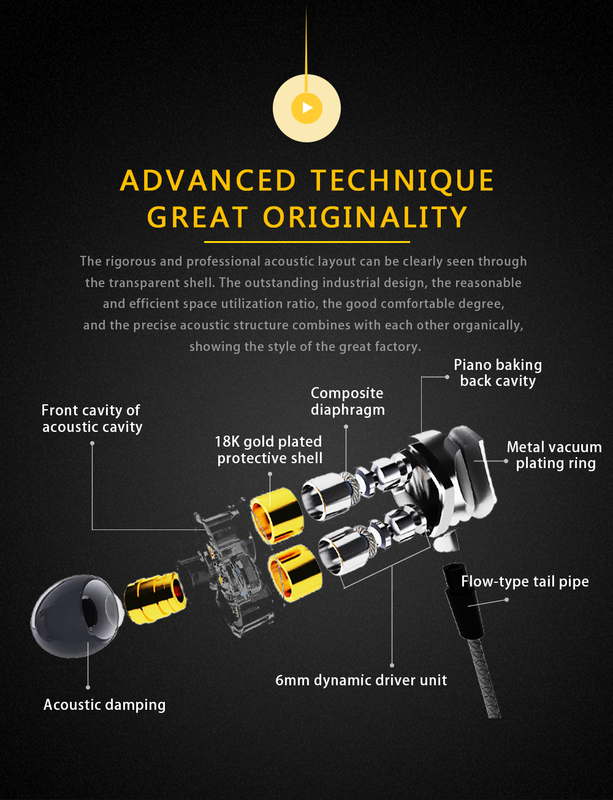 The front cavity of acoustic cavity uses the metal plating process,the bright silver scrub metal texture presents unique delicacy. 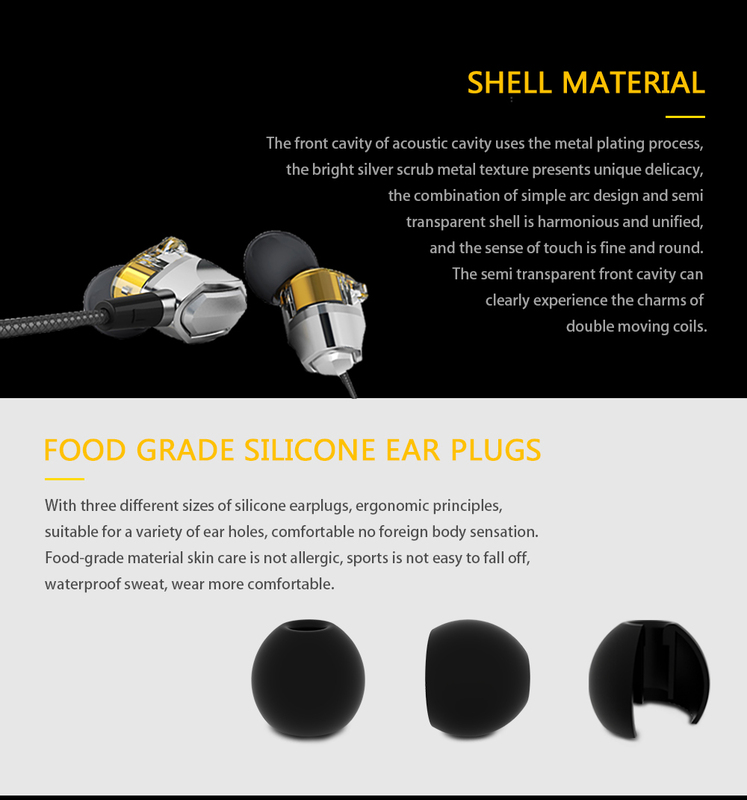 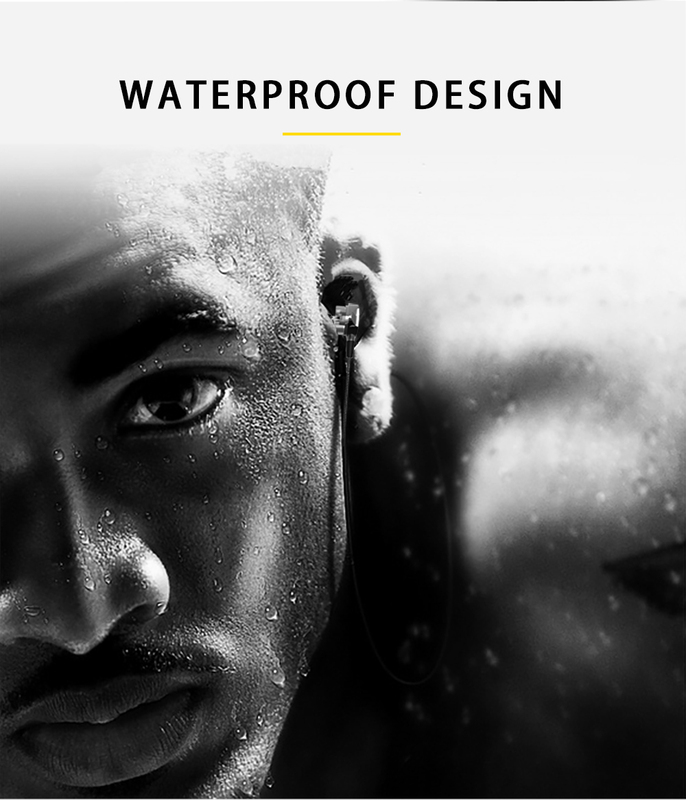 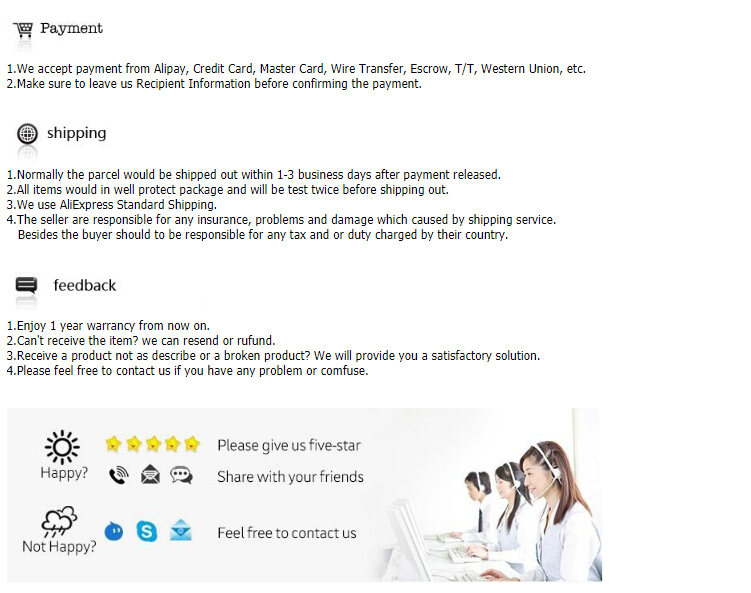 With three different sizes of silicone earplugs,ergonomic principles,suitable for a variety of ear holes,comfortable no foreign body sensation.Food-garde material skin care is not allergic,sports is not easy to fall off,waterproof sweat,wear more comfortable.